UEFA Euro 2004 Portugal wears its heart on its sleeves in terms of its diversity. It offers you the ability to play within the 2004 UEFA championship and nothing else more. So, if that is what you are looking for, then this game is definitely going to deliver, but, then again, a few concessions will need to made. The most important one has to do with the quality of the graphics. 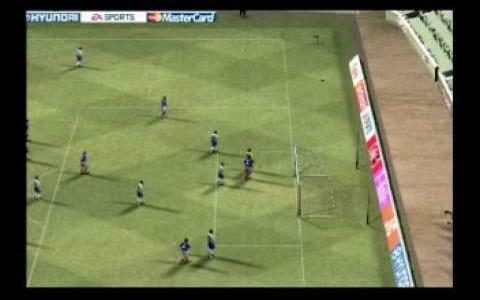 You see, Electronic Arts was used to producing soccer games annually, and, at least on the PC front, they were not really concerned with pushing the limits of the engine. This means that the game looked a bit dated even for its day and age, with ok graphics, that didn't hinder the gameplay, but neither managed to leave a mark. But at any rate, you will be able to pick the team of your choice and see it through the qualifying and then the competition stages of the UEFA championship. 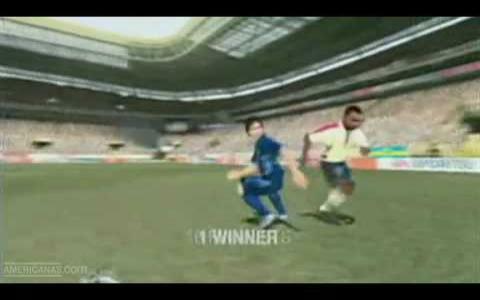 Whether you play this game or go for the next year's installment, FIFA Soccer 2005, it's less a matter of taste but rather a question of players and teams you want to play with. However, I would argue that the Pro Evolution Soccer 4, or PES4, as it has come to be known as, is a far better game, especially if you are planning for a prolonged playing session.